Widely considered to be the greatest exponents of Haydn’s work in the world today, the London Haydn Quartet has spent more than a decade reinvigorating the composer’s reputation and sound, bringing his peerless music to new audiences around the globe. 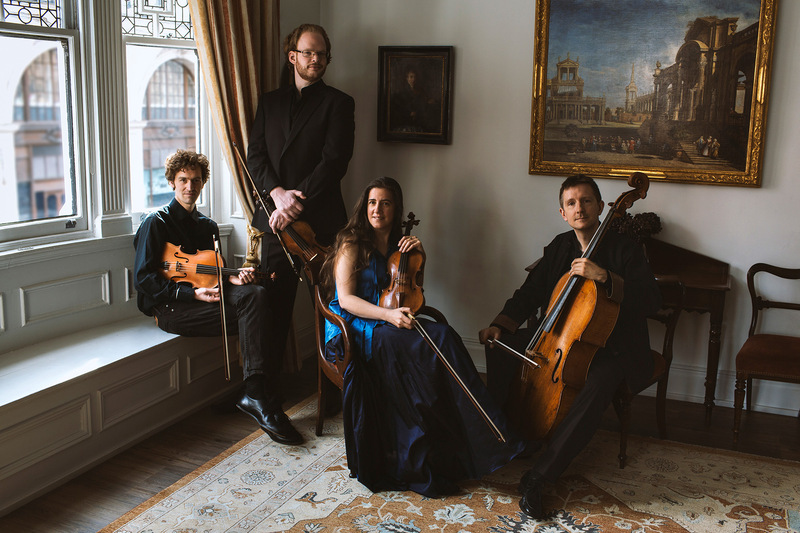 With their gut–bowed period instruments and dazzling interpretations of familiar classics, they play the master’s opuses as they were meant to be played: full of color, texture, and verve, soaring with virtuosity and unexpected thrills. Formed in 2000, the London Haydn Quartet has gone on to receive invitations to many of the most important concert series in Canada, the United States and Europe. Their series of recordings of Haydn’s quartets on the Hyperion label have met with international critical acclaim. The quartet has given recitals of all-Haydn programmes at New York’s Carnegie Hall, and numberous festivals throughout the UK. For this MITM performance, the quartet will perform Haydn’s String Quartet Op. 76, No. 5, and will be be joined by Eric Hoeprich, one of the world’s leading early clarinet specialists, for a performance of Mozart’s magnificent Clarinet Quintet.